Bluecore is a business solutions company providing support and assistance to start up and existing businesses. We do this by bringing together all the key resources to provide support and assistance from one place, making it easier for you to start, build and grow your business. 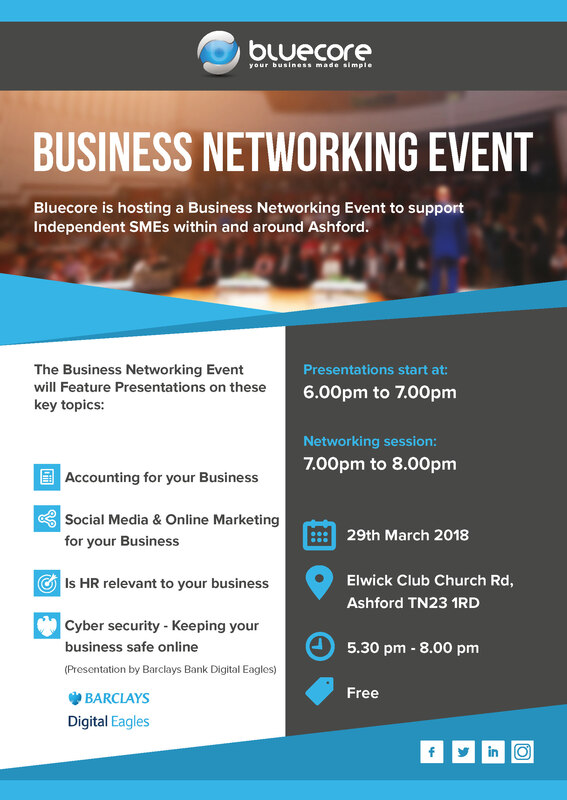 Bluecore is hosting a Business Networking Event to support Independent SMEs within and around Ashford.